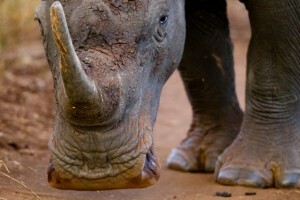 Rhino River Camp opens eco boutique lodge in Meru National Park, Kenya. Rhino River Camp is a new exclusive eco boutique safari lodge located in Kenya’s stunning Meru National Park where the legend of Elsa, the Born Free lioness began. It comprises of five beautiful tented suites built out of caramel canvas and raised on stilts above the romantic Kindani River. Whether it’s spotting the big game, the rare bird species or simply letting all those little stresses melt away in beautiful surroundings, a stay at Rhino River Camp will ensure a once in a lifetime African holiday. Meru National Park is home to an extraordinary array of wildlife and the professional guides at Rhino River Camp are on hand to take guests out into the bush any time of day to explore the surrounding wilderness. Established in 1967, Meru is one of East Africa’s oldest national parks. The reputation of the Park was enhanced by George and Joy Adamson who reared and weaned Elsa the lion, arguably the most famous lioness in the world thanks to the book “Born Free” and the subsequent movie. Far from the crowds, Meru offers its visitors an experience of true African wilderness and raw, unspoiled nature. The park is one of the best spots in Africa to see wild rhino and it incorporates a breathtaking rhino sanctuary which is home to over 40 white rhino, 20 black rhino and several babies. Meru is also home to lion, cheetah, elephant, leopard, oryx, zebra and giraffe. 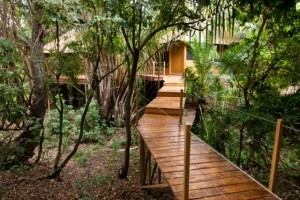 The canvas suites are set amongst the trees of the magical forest that borders the Kindani River. Spacious and luxurious, they make the perfect retreat from which to explore the forest and park. Elevated on stilts, each room has a view of the river and its huge raffia palms, trees and tamarinds ensure a blissful stay in the most romantic setting imaginable. Every suite at Rhino River Camp comes complete with its own private ‘zen’ area where guests can meditate, read or simply unwind and become entranced by the sounds of the surrounding forest. 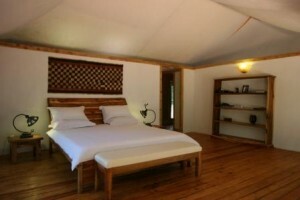 The lodge has a large central area with a bar, lounge and a library with views over the river and lush green foliage. It also has a beautiful swimming pool set above the river with views over the wilds of the forest. Situated in eighty acres of privately owned wilderness, Rhino River Camp offers its guests a wide variety of activities including game drives, bush walks, hiking, mountain biking, bird watching and fishing. Once an appetite has been worked up, guests can indulge in the fine Italian inspired cuisine prepared by the experienced, creative chefs in camp or otherwise dine under the stars with a meal out in the bush. The lodge is managed by Andrea Maggi, the owner of the camp. As a trained safari guide and wildlife filmmaker, he is at guest’s disposal to help and advise them on the activities at Rhino River Camp and to inspire them with tales of the history and wildlife within the park. Rhino River Camp works hand in hand with the world famous Born Free Foundation and offers its guests a unique insight into conservation by becoming part of their lion census programme. All guests are given a ‘lion sighting’ form and asked to record details about their sightings whilst out on game drives. Guests can also visit the local villages and learn about the culture of the Meru people and their traditions. Rhino River Camp operates a scheme whereby the local community receive a percentage of the profits made by the camp. As a more tangible gain, they employ local villagers providing skills and training wherever possible. The camp meets most of its energy needs through solar and hydro-electric power, using the abundant sunshine and the flowing river of the area to full advantage. The water is heated through high-efficiency solar panels ensuring that guests to have hot water 24 hours a day only using renewable resources. Inside the camp, guests can enjoy the sights and sounds of over 180 bird species as well as resident mammals that include monkeys, bush babies, baboons, porcupines and bush buck. Nature trails are carved throughout the lodge making Rhino River Camp the perfect hide out in one of the most beautiful locations in Kenya. Heino – Great pics. Daai lank staan, wag, en op en af ryery was toe altyd die moeite werd. Wonder net waar is die ander 2956 foto’s wat jy geeenm het. Goeie werk weereens. Sal jou ook boek as my dag moet kom.